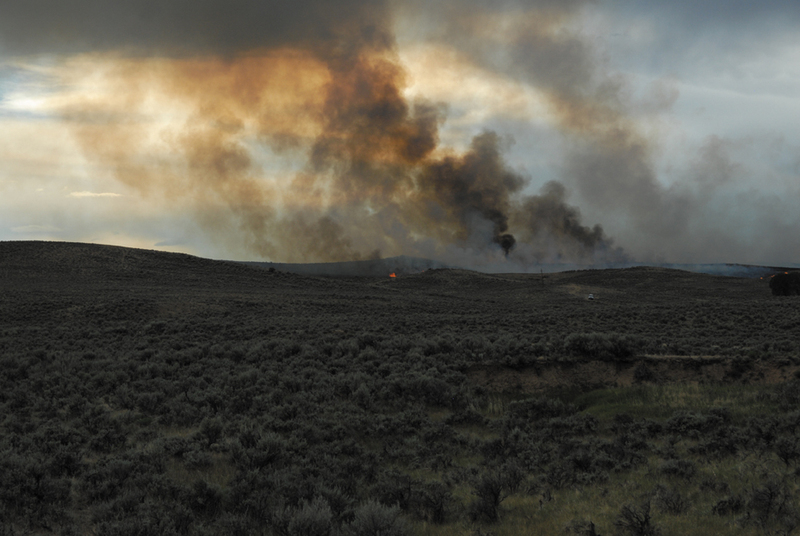 The Agee fire burned 70 acres west of Colorado Highway 13, near Moffat County Roads 89 and 103. It started with a lightning strike Monday and was deemed under control at 8:47 p.m. The Agee wildfire ignited Monday night north of Craig from a lightning strike, burning about 70 acres before fire personnel brought it under control. Craig Fire/Rescue responded to the fire near Moffat County Roads 89 and 103, after the fire was reported by a West Routt firefighter who was in the area at 4:45 p.m. Monday, Craig Fire/Rescue Chief Bill Johnston said. A large column of dark smoke could be seen among the hills west of Colorado Highway 13, near mile marker 107. Johnston said four engines from Craig Fire/Rescue were deployed to the scene along with two tenders. Two Bureau of Land Management engines would later show up to assist, as well as two Moffat County motorgraders, to cut a fire line around the fire so it could not spread. According to the incident report, the fire was controlled by 8:47 p.m., and the last unit cleared the scene at 11 p.m. Monday night. No structures were threatened by the fire. On Tuesday morning, Johnston said the fire is “under control,” but he could not call it officially contained due to BLM regulations.